E-commerce giant eBay has agreed to a settlement relating to accusations of anti-competitive hiring behaviour. In two separate lawsuits by US regulators, eBay was accused of agreeing with technology firm Intuit not to poach each other's employees. 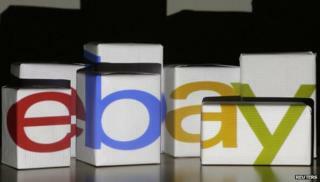 eBay will pay California $3.75m (£2.2m) and refrain from anti-competitive hiring behaviour for five years. The suits were brought by US Department of Justice (DOJ) and the Attorney General of California in 2012. The settlement is subject to approval by a California court. "eBay's agreement with Intuit served no purpose but to limit competition between the two firms for employees, distorting the labour market and causing employees to lose opportunities for better jobs and higher pay," said DOJ assistant attorney general Bill Baer, in a statement. eBay said in a statement that it had not engaged in any hiring practices that could have raised concerns with US regulators since at least 2010. But, it added:"eBay continues to believe that the policy that prompted this lawsuit was acceptable and legal, and led to no anti-competitive effects in the talent market in which eBay compete." As a result of the agreement with the attorney general of California, eBay will pay $3.5m into a settlement fund to provide compensation to any "potentially affected Californians" who worked at eBay or Intuit since 1 January 2005. An additional $250,000 will be paid as a civil penalty. "No-poach agreements unfairly punish talented workers and stunt our state's economic growth," said California attorney general Kamala Harris in a statement. Intuit was not part of the agreement because it had already settled with US regulators over a 2010 lawsuit. The move comes just a few days after Apple, Google, Adobe and Intel settled a separate class-action lawsuit alleging similar "no-poaching" behaviour.